Like a lot of kids in Moscow, Svetlana Shmulyian loved New Year&apos;s Eve. "If there was once a year that a Soviet kid got to eat red caviar, it was on the night of the New Year!" she says. 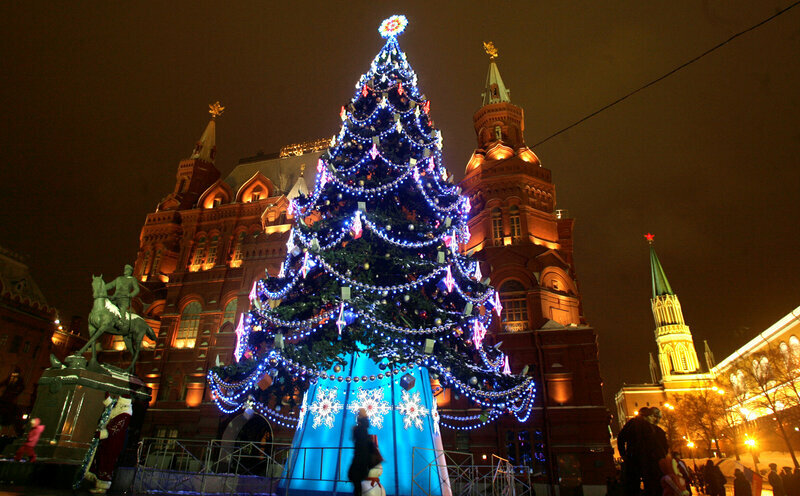 And one of her favorite traditions (besides the caviar) was the yolka — the New Year&apos;s tree. "The smell of the tree, the toys, the blinking lights — it was one day to look forward to for the whole year." If that sounds a lot like Christmas, that&apos;s because it kind of is. A century ago, Christmas in Russia was pretty much like Christmas in the U.S. — complete with decorated trees, family celebrations. But all that changed with the Russian Revolution. "The tree comes to be seen as a symbol of both the bourgeois order, which is one class enemy, and of religion in particular, which is another kind of class enemy," says Victoria Smolkin-Rothrock, who teaches Russian history at Wesleyan University. "There are very explicit statements that essentially unmask the Christmas tree for the class symbol that it is," Smolkin-Rothrock continues. "It becomes clear that one does not have Christmas trees without political sympathies and allegiances falling into question." And in the Soviet era, having your political sympathies questioned could be dangerous. In 1935, though, there was a letter in Pravda, the official paper, saying things had changed. Smolkin-Rothrock sums up the argument of one high-ranking Bolshevik: "Here we are, and Socialism has been built, and why would we deprive those children who had never had a Christmas tree of their own of the pleasure of the tree?" So, the tree was redeemed. And it moved up the Orthodox calendar, becoming completely secular. "I don&apos;t think I even heard that it has something to do with Christmas," says Victoria Anesh, who grew up in the Soviet Union, in what&apos;s now Ukraine, before immigrating to the U.S. "It&apos;s just a tree for New Year&apos;s. And we had probably, on top of the tree, we had a star ... like the Kremlin red star." 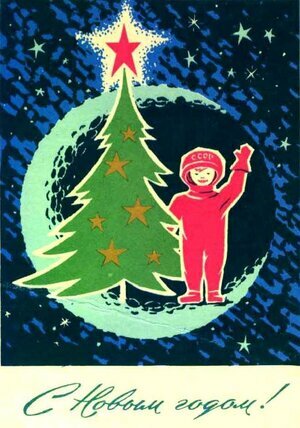 Those Kremlin stars became such common tree-toppers, they were even featured in &apos;60s-era Soviet postcards. Anesh, who is Jewish, loved her New Year&apos;s tree — but then she came to America. "We were told that trees here are put on Christmas. And Jews don&apos;t do Christmas." Getting rid of the tree was just one in a long list of things to get used to in America. But when Anesh and her friends started families of their own, they began to rethink it. "You know, why aren&apos;t you doing this? We&apos;re supposed to! What about our heritage?" But while Anesh loved the tree as a kid, it&apos;s not something she wants to pass on to her own children. "For me, it was kind of a symbol of not having choices," she says. "I love that I have choices here. They&apos;re very tough — figuring out what is my moral compass here, what it means to be Jewish. There&apos;s a lot of things that I don&apos;t have answers, and I&apos;m learning with them. But I love it." For other Russians, like Shmulyian, this new freedom of choice means choosing a tree. "I am experiencing this and want to create experiences for my kids that link them to the tribe. They&apos;re part of the Jewish tribe. They&apos;re also part of American tribe. They&apos;re also part of Russian tribe," Shmulyian says. "They&apos;re all these identities that they carry." Just as in the Soviet Union, what makes tradition meaningful isn&apos;t some government edict. It&apos;s how people gather around the tree, or don&apos;t, and decide what it means to be Russian — and Jewish, and American — in a new world.